I feel like I seem to be doing either no beauty posts at the moment or bombarding the blog with them. There’s quite a few coming up in the next two weeks but I’m loving writing and reviewing beauty bits at the moment so hey, hope you enjoy. 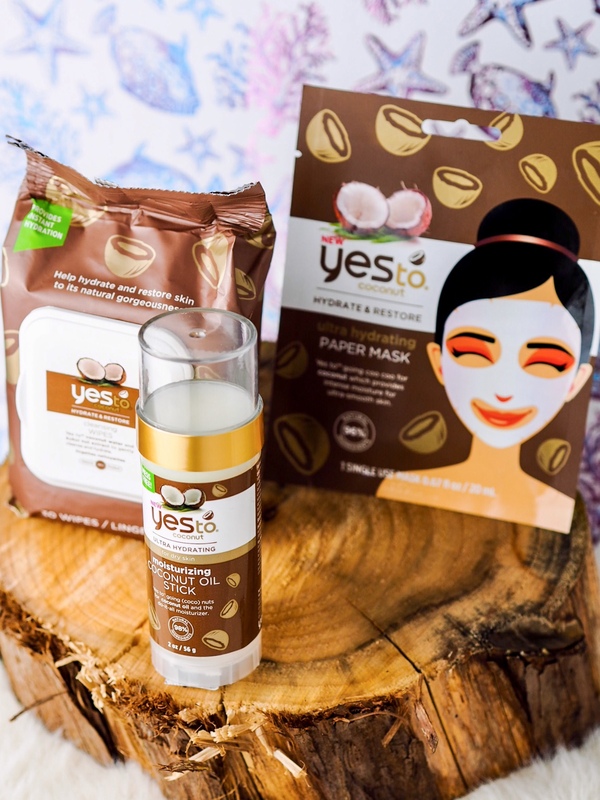 Todays post is about a company called Yes To who kindly sent me over a few things from their Coconut range! All of their products are at least 95% natural and they focus on creating fun and innovative products that are “filled with the goodies”. Sounds pretty damn good to me! They have all sorts of different ranges on offer for different skin types. The coconut is most suitable for any sort of dry skin or hair. Here’s what I thought of the 3 products I tried! As these are marketed as “cleansing wipes” I kind of assumed they were just sort of like baby wipes. Easy to pop in your bag for a quick dab anywhere on a hot day. They are actually incredibly good makeup removal wipes too! Not to mention they come with the most gorgeous creamy coconut scent. They hold just the right amount of moisture – not sodden but not dry. Admittedly I have been using them more as body wipes, especially in this humid weather recently. They’re fabulous at giving the skin a quick cleanse, cool and layer of hydration. As for using them as facial or makeup removal wipes, they removed some pretty stubborn foundation and didn’t sting my eyes like the majority of products I’ve tried. This is pretty AMAZING news as finding products suitable for such sensitive eyes is a struggle. It really backs up the 96% natural claim on the packaging and with them being scented I was adamant they’d cause issues. I’m thoroughly impressed and would definitely repurchase! I had real high hopes for this one, especially as my skin is all over the place at the moment. On removing the mask from the pack, it was heavy with moisture which was a good sign in my eyes. The mask opened out to fit my face pretty perfectly. They even have flap open eye areas so you can adjust it right up to your own eye line or even close your eyes and move the flaps up on top of your eye lids. It was super soothing and the scent takes you away to a tropical paradise. It’s advised you leave the mask on for 10 minutes but I left it on a few minutes longer as, why not? Unfortunately I didn’t really feel like this one did much for my skin. It definitely didn’t make it feel any worse, tight or anything of the sort but I can’t say I felt or saw an overwhelming improvement. If I’m honest, my skin has never reacted overly well to the majority of masks anyway. So it could just be me as the mask contains fabulous ingredients for the skin, including virgin coconut oil. Despite this, the mask gave a calming experience and left behind a lovely scent! This is just generally fabulous if I’m honest. The scent is absolutely gorgeous and it’s just so convenient. Easy to keep at home or pop in your travel or hand bag. It has a fun novelty of feeling like you’re rubbing a pritt stick on your arm (just me? Okay). You don’t have to get your hands mucky with it like most oils or moisturisers because of the design of it too! Even my boyfriend has been happy to use this as it’s just so easy and the scent is so Summery and inviting. As it’s essentially a solid oil, it could also be used as a really easy massage stick too. I honestly can’t recommend this product enough! I’d happily take this in every scent and colour available. 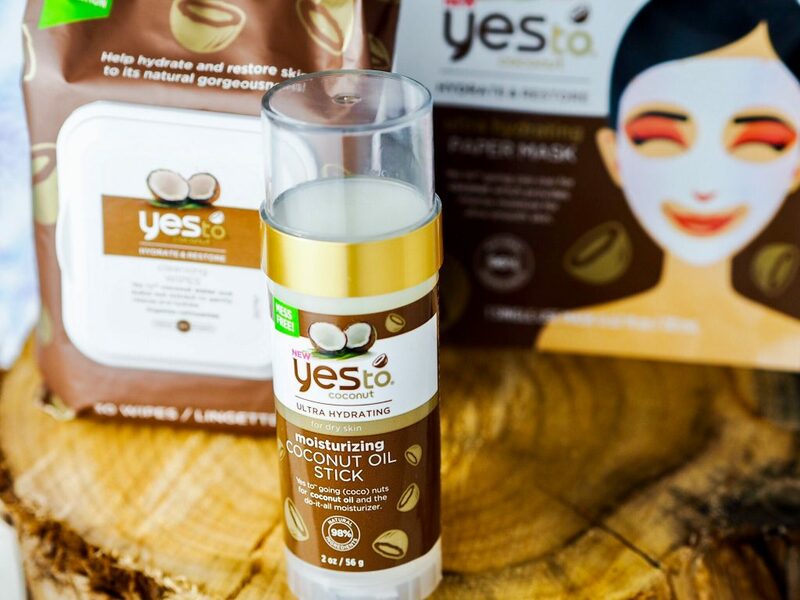 Although there was a slight disappointment with the mask, I’ve absolutely adored using the Yes To coconut range. The products are so perfect for the upcoming Summer months. 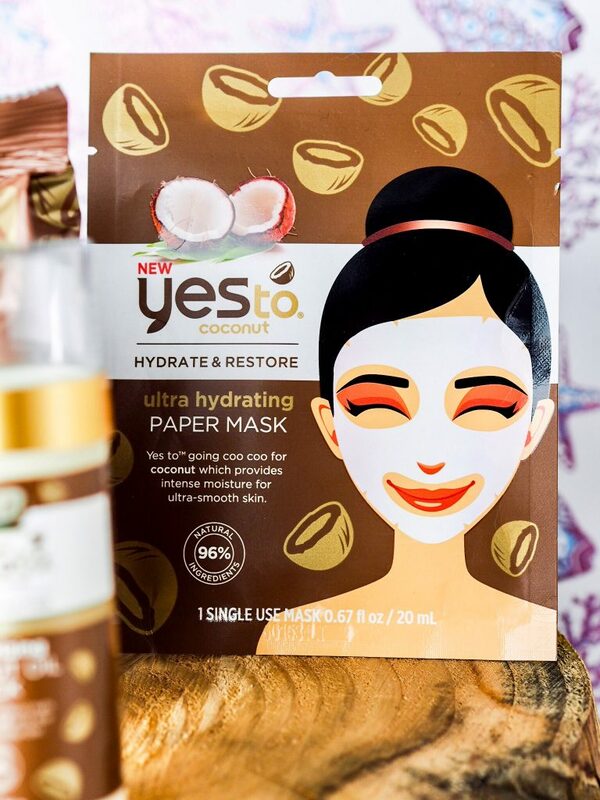 The next product on my list to try from Yes To is the Coconut Coffee Stick* as the reviews of it are incredible and the design of it is similar to the Coconut Oil Stick so it’s intriguing. I adore the smell of both coconut and coffee too so it’d be really interesting to see what they’re like together! 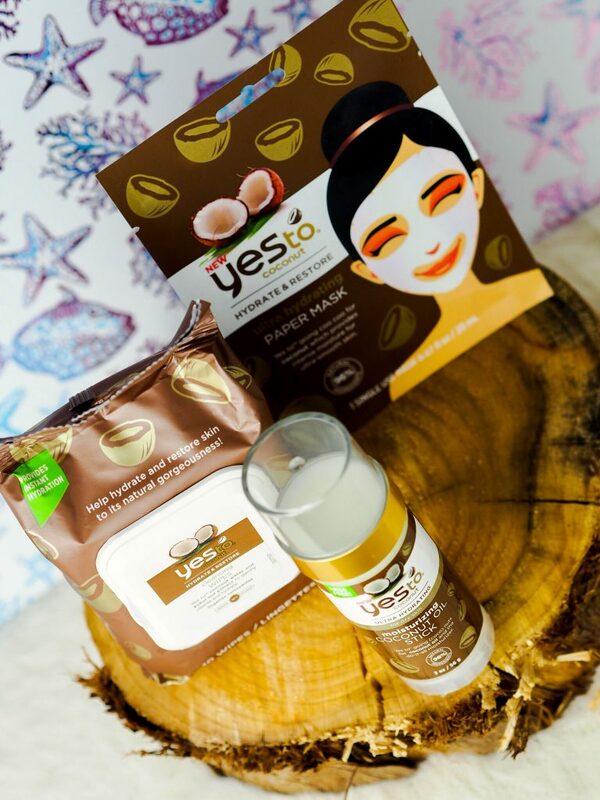 Have you had a chance to try any of the ranges from Yes To yet? Violet Voss Holy Grail Palette! "Goodbye To Boring Baths With Heavenly Bubbles!" Yes they look lovely too! I want to try them all now haha. Thank you ? mentioned these products in my latest post too! They’re lush aren’t they, the scent is just divine. 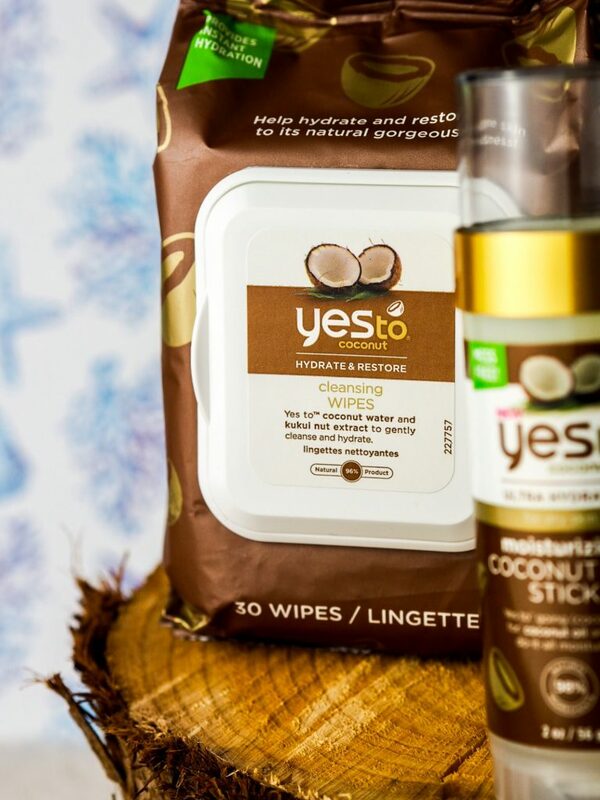 Yes I absolutely adore the scent of coconut, such fab products! The scent is gorgeous, proper summery ?